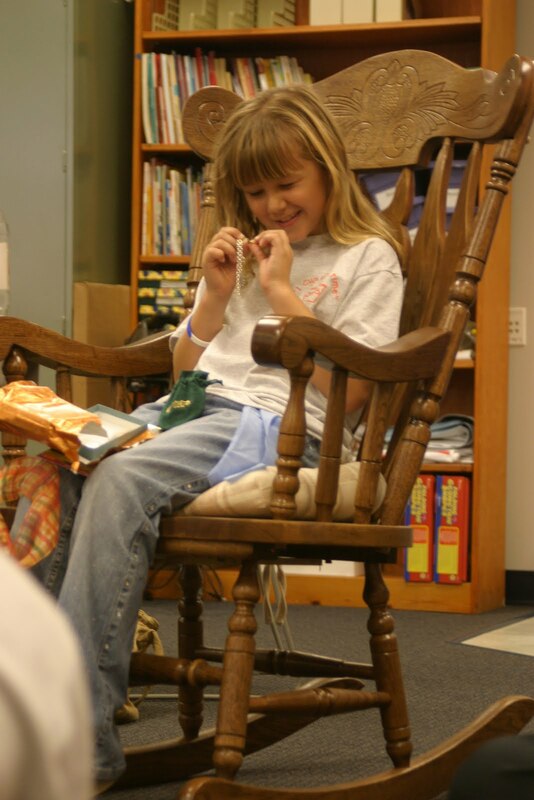 This was the first year Shayla was not escorted by one of her parents on Trick or Treat night. 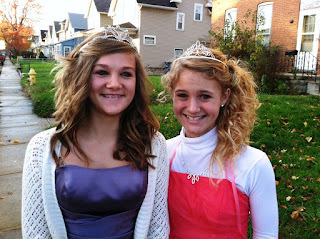 She had a blast being a "princess" with one of her friends. Shayne and Grandma Donna had a nice time passing out candy to the little cutie pies trick or treating in the neighborhood. I will fill Christi's "pumpkin basket" with candy and send it around my classes on Tuesday. (Those college kids "need" candy and are too "busy" to go trick or treating these days.) It's always really hard to see the pumpkin with Christi's name on it because she loved trick or treating so much. I think sharing candy with my studnets would be something she would approve of. Here's wishing you and yorus a fabulous week! PIC: Shayla sits in the chair Christi used to sit in as she reads "Alex and the Amazing Lemonade Stand" to Dr. Grine's students. 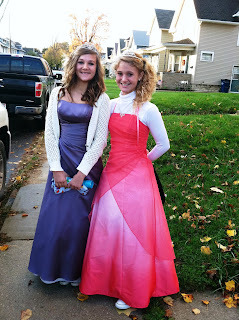 It was an emotional day, but only because we loved Christi so much and because we really want cancer to be cured! 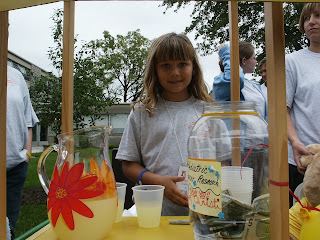 The lemonade stand, held yesterday in Christi's memory, was very nice. 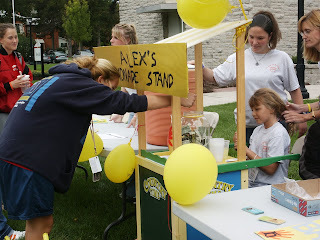 Thanks to all who came to donate to Alex's Lemonade Stand Fund and to Dr. Grine at Heidelberg for organizing and supporting this 8th annual event. 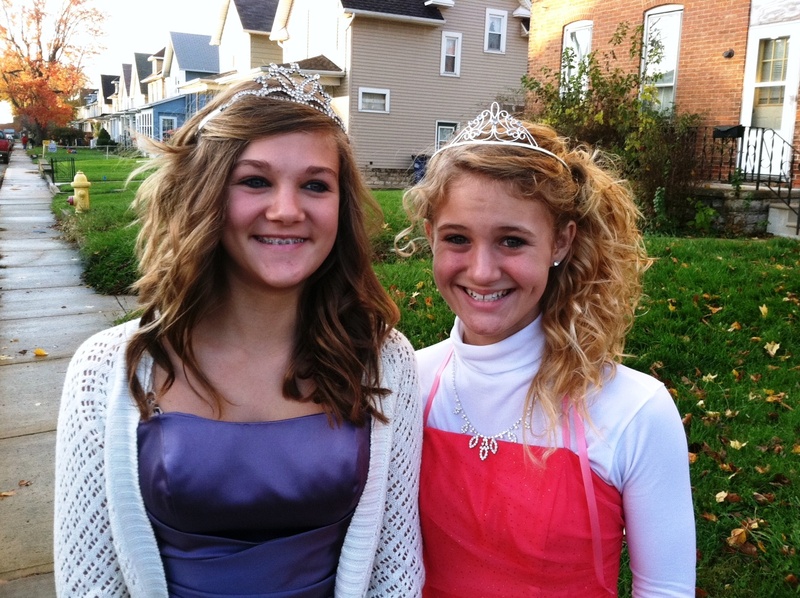 Our favorite report, Jill Gosche, was there covering the event in the newspaper this morning. I will most more photos later. 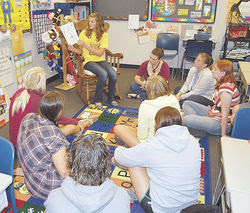 Those amazing friends of Christi at Heidelberg University are doing it again! Please join us if you can! I know Christi would be so proud (and I believe a cure cannot come soon enough)! 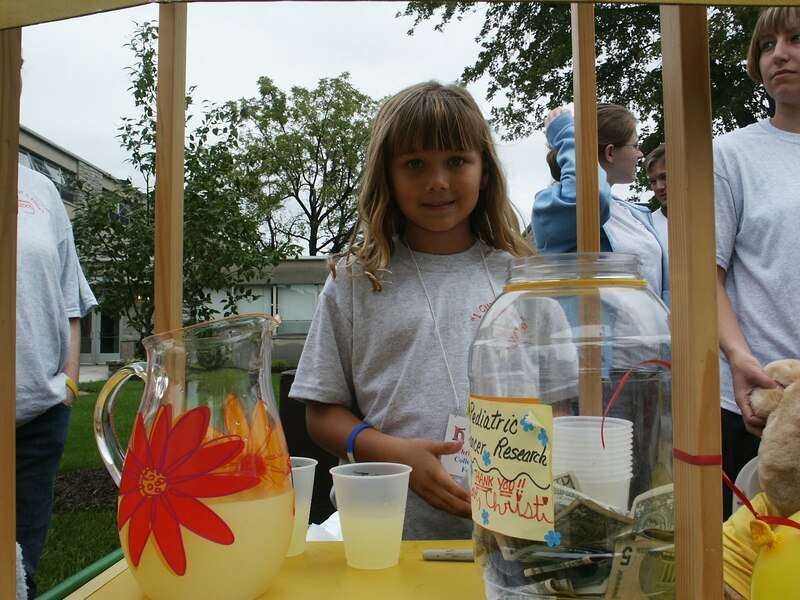 The fundraiser in Christi's memory will again go to a cause she supported - Pediatric Cancer Research though Alex's Lemonade Stand, started by our friends in Philadelphia. Heidelberg's stand will be on Monday, October 10th, 11am-1pm in front of the education department. Rain site - Hoernemann cafeteria right across the street. We hope to see you there! THANK YOU to Dr. Lori Grine and her education students at Heidelberg University! I love this picture of Dr. Lori Grine, gentle fixing up Christi's hair - so motherly, so sweet, sooooo Lori!